When first experiencing the ease and convenience of the Melody, you’ll know this machine was just made for you. 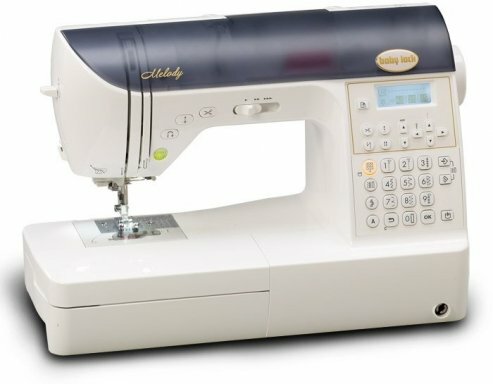 The Melody has the features you’ve been looking for to quilt with confidence and to let your creativity grow, like a precise 1/4″ stitch, easy threading and a wide quilting table. The Melody takes all of the hassle out of sewing – including winding your bobbins! The winder seat holds the thread in place and stops automatically when the bobbin is full.